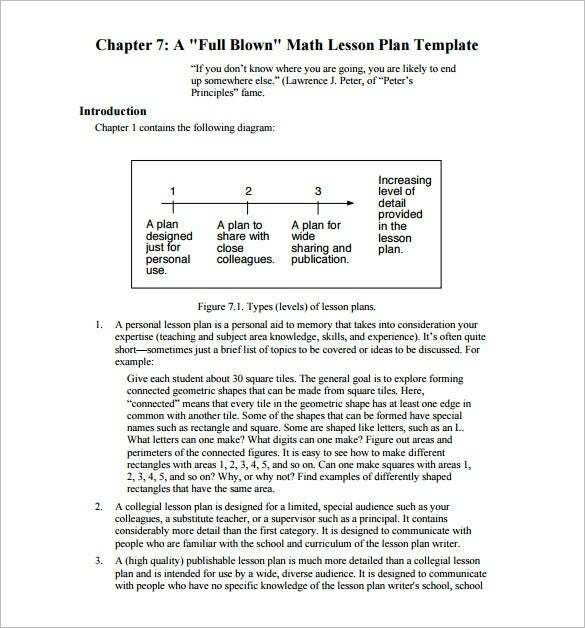 Middle School Lesson Plan Template – 7+ Free Word, Excel, PDF Format Download! 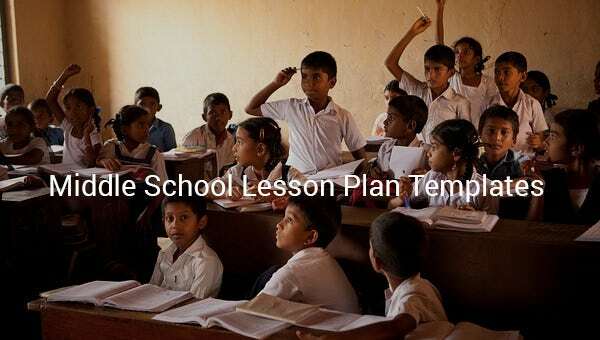 Middle school teachers often have to manage an elaborate syllabus and hence it’s always wiser to proceed with an organized approach. In such a situation a Daily Lesson Plan Templates for middle school would be really helpful. It will allow you to chalk out the lessons to be taught beforehand so that you already know your objectives as you enter the class. 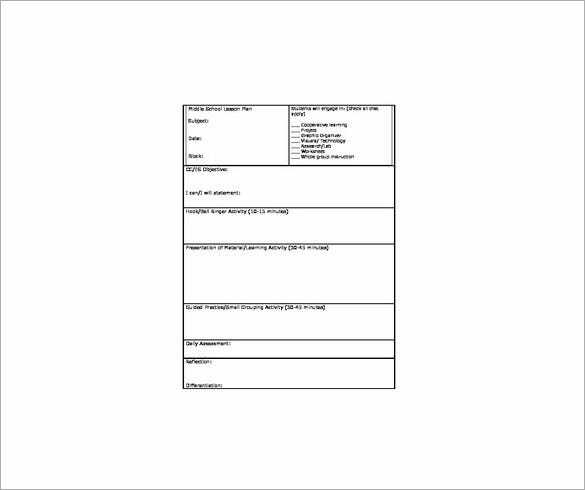 you may also see Plan Templates. 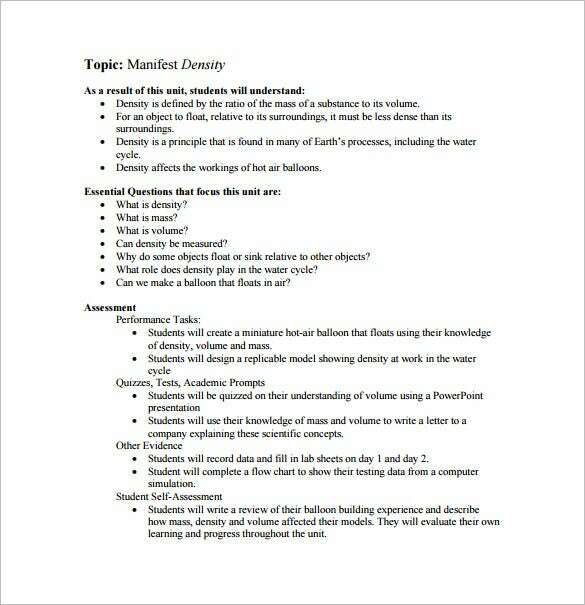 This simple lesson plan has been designed in alignment with the principles of Common Core. It just a breeze to use and you can easily modify it with information of your specific activities. 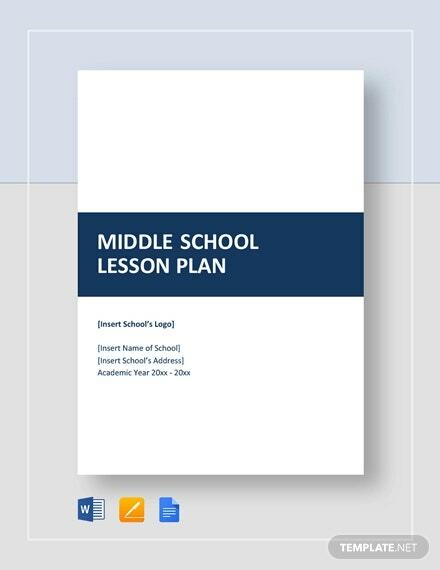 lake.k12.fl.us | This weekly middle school lesson plan is very neatly organized and easy to follow. 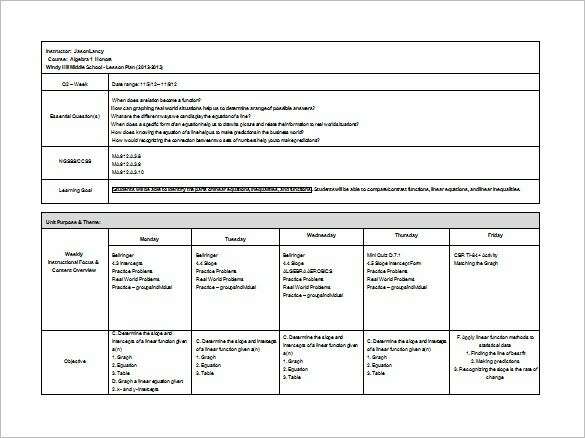 Here you have the lesson plan for 5 days of a week, from Monday to Friday and the activities for each day are mentioned below respective days. i-a-e.org | This Middle School math lesson begins with a table of 3 types of plans and below the table you get elaborate insights on each of the plans and discussions on what to do with each of them. 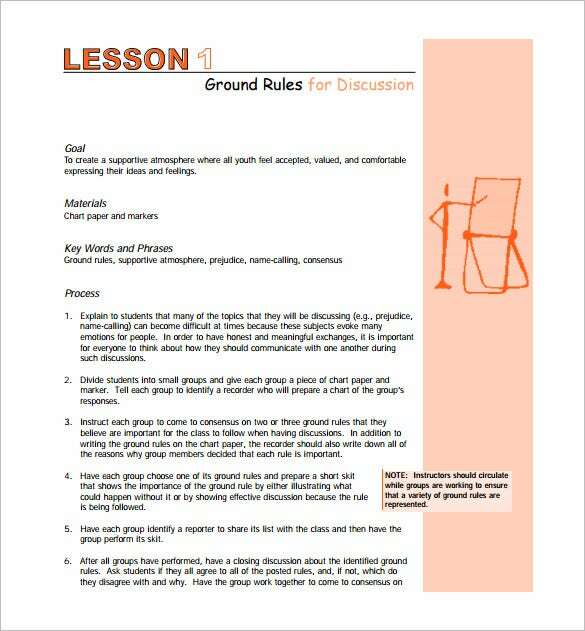 partnersagainsthate.org | This lesson plan here is focused on 4 most vital parameters of a standard lesson plan. It starts with the goals of the plan, the materials to be used, the key words & phrases and finally there is a detailed discussion on the process. 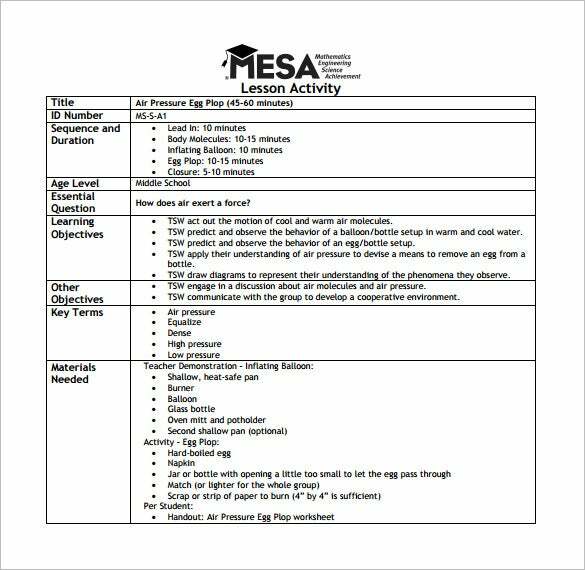 arizona.edu | This MESA middle school lesson plan comes up with every vital aspect of a lesson plan on the left and that includes the sequence & duration of the lesson plan, age level, the essential questions, learning objectives, key terms & materials needed. 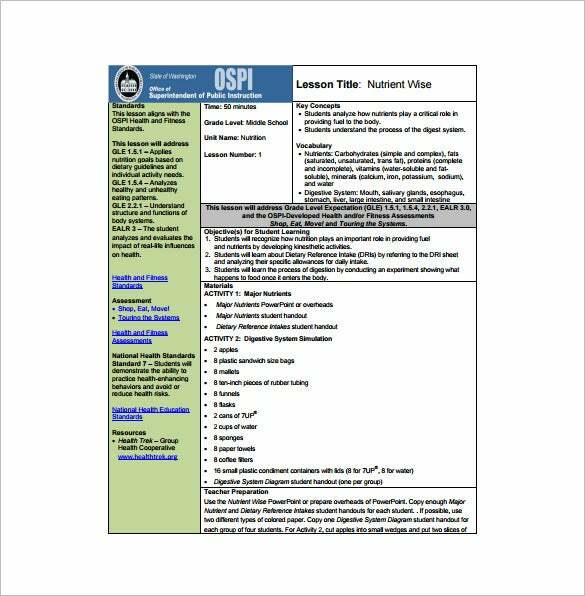 usi.edu | You are getting a simple and standard middle school lesson plan here. It starts with the goals of the lesson plan for the students, the essential questions to be asked and the different levels of assessment.